Lots of actors have to pay their dues with small roles before they can get their chance at a starring role. If you saw the movie before they hit it big or you don't recognize them out of context, you may not even know they're there. Here are ten stars you probably didn't know were in your favorite scifi movies. In the first Teenage Mutant Ninja Turtles movie, the evil ninja Shredder runs a secret haven for unruly kids. 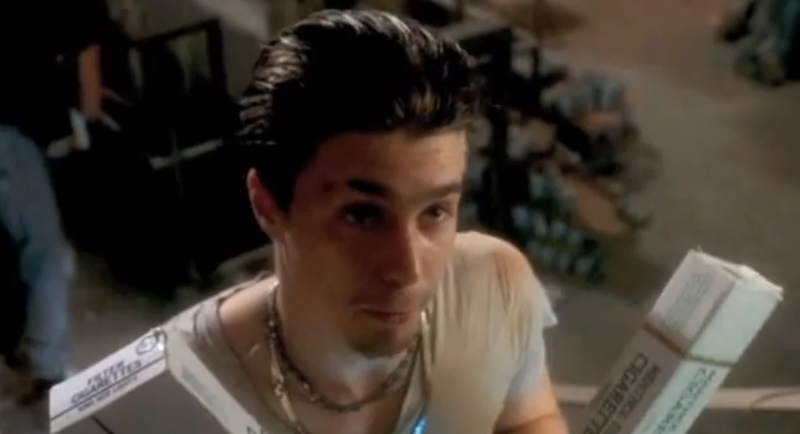 The punk who conducts the guided tour of Shredder's playground is none other than Sam Rockwell, star of Moon, Galaxy Quest, and Hitchhiker's Guide to the Galaxy. When a kid asks if they have any cigarettes, he utters the immortal line, "Regular or menthol?" In Back to the Future II, Marty McFly travels to the future, where he goes to an 80's-themed cafe. There, he demonstrates his crackshot on a Western video game for two little kids who are unimpressed. 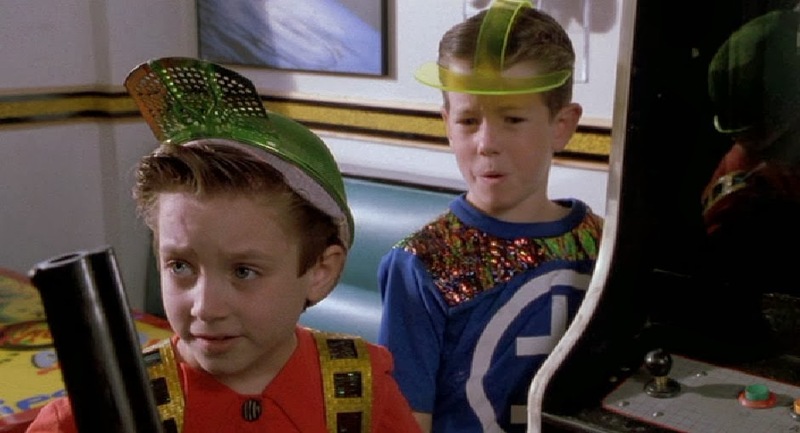 One of those kids (on the left in the pic above) is Elijah Wood, star of The Lord of the Rings trilogy. When the Terminator appears in our time, his first order of business is getting some clothes from three biker punks in a bar. One of those punks is Bill Paxton, famous for his "game over" rant in Aliens. You may not have recognized him with the blue hair and the gap in his teeth. He's the first person killed by a Terminator in any movie. Incidentally, this also made Bill Paxton one of only two actors to be killed on-screen by a Terminator, an Alien Xenomorph, and a Predator. The other is Lance Hendricksen. You may not know the name Michael Peter Balzary, but you probably know him better as Flea, the lead bassist for the Red Hot Chili Peppers. While he usually appears on a concert stage, he made occasional forays into acting. In the BTTF sequels, he played Needles, who goaded Marty into street racing, and also goaded a future Marty into making an illegal scam that cost him his job. And he plays a mean base in his underwear. Keira Knightley is best known for her role in Pirates of the Caribbean and her Academy Award-nominated role in Pride and Prejudice. 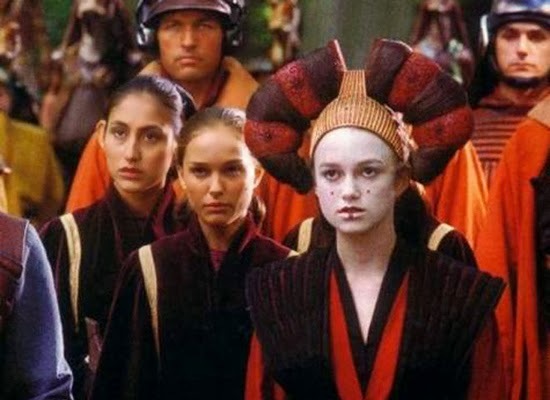 But her uncanny resemblance to Natalie Portman earned her second movie role as Sabe, Queen Amidala's decoy. That's right, it wasn't a special effect when you saw Queen Amidala standing next to Natalie Portman. That was Keira. The costumes were specifically designed to hide her height differences to Portman, and her voice was dubbed over by Portman as well. He earned fame as the know-it-all mailman Cliff Clavin in Cheers, and later as the piggy bank in Toy Story. 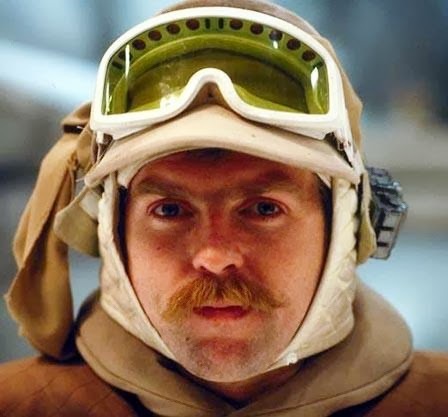 Before all that, Ratzenberger played a pivotal but minor role in ESB when he informed Princess Leia that the blast doors had to be closed. The funny part is that, much like every actor in Star Wars, his one line earned him a place in the Expanded Universe as Bren Derlin, where he was promoted to Colonel and has made appearances in comics, novels, and video games. Those blast doors were very important to the Rebellion. He made a name for himself with critically acclaimed movies such as The Usual Suspects and Apt Pupil. He single-handedly reinvented superhero movies with his black leather futurism in X-Men. 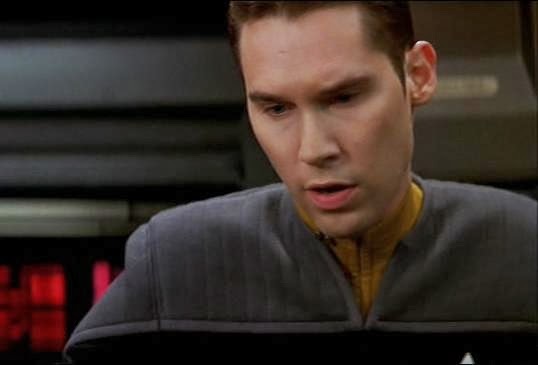 But deep down, director Bryan Singer is a big Trekkie. That's why he used his friendship with Patrick Stewart to grab a plum role as Unnamed Tactical Officer in Star Trek: Nemesis. Can you blame him? Who wouldn't jump at the chance to put on an official Starfleet uniform? He's best known as the smarmy perv lawyer on Night Court. 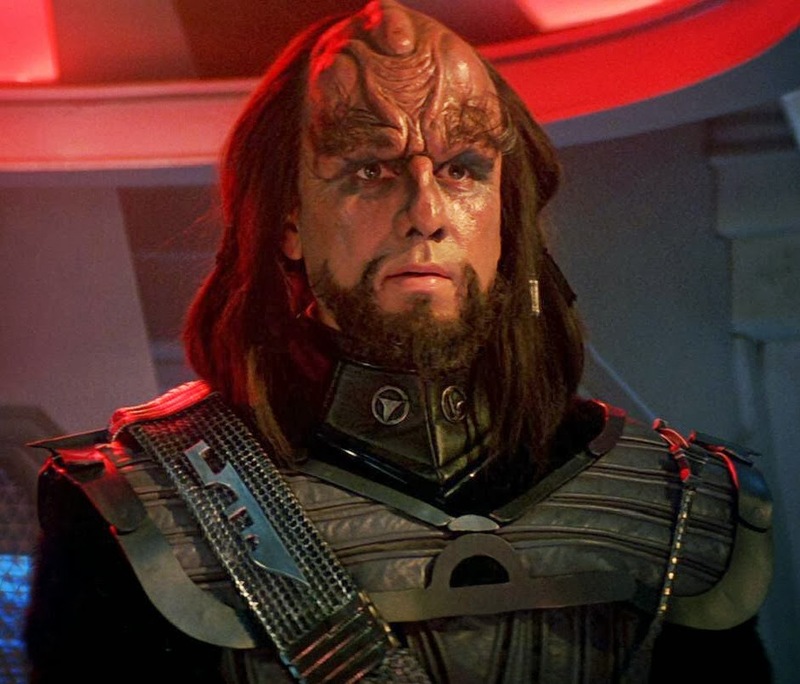 But under all that Klingon make-up, John Larroquette played warrior and officer Maltz. He was one of the only survivors of the destruction of the Bird of Prey in Search for Spock, and asked for death. Kirk lied and Larroquette went on to fight another day. Yes, we all know George Lucas, the creator of the epically popular Star Wars franchise. He always stayed behind the scenes, but in Episode Three, he couldn't resist making himself a part of the action. 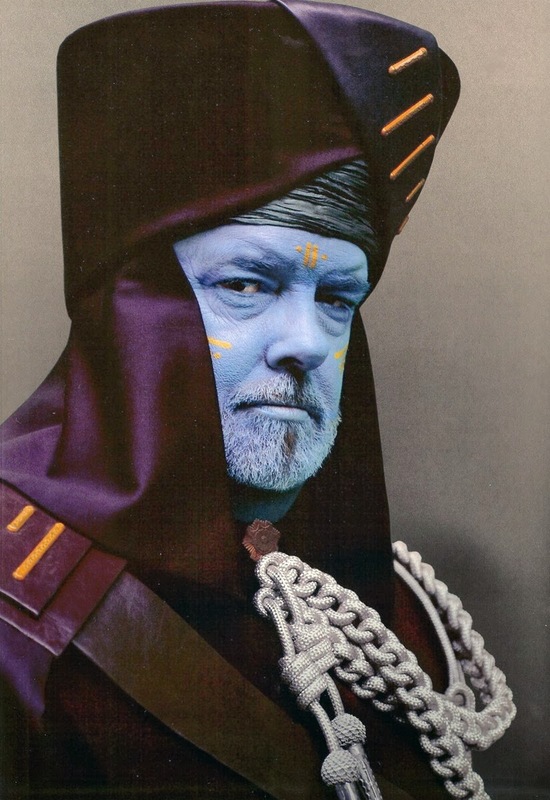 Lucas appears in Revenge of the Sith, as the Baron Papanoida. You know, the blue guy standing around in the background outside the Emperor's opera box. Seth Rogen has become a beloved actor known as the loveable loser in Knocked Up and Super Bad. He's less known as the bully in time-travel twister, Donnie Darko. He played a similar role in Freaks and Geeks, but managed to break out to become a major star. But in a way, it led to his eventual stardom. And in another, more accurate way, it didn't. Did you know any of these? Do you have another favorite obscure cameo? I did know a few of these. If he weren't so busy with the X-Men maybe Singer could take over the Star Trek franchise from Abrams. Knew all but Wood being in Back to the Future II. Did you know Flea was also in a science fiction film called Stranded? I didn't know about Sam Rockwell or Keira Knightley. The Ratzenger one is a pleasant discovery. Reason enough to watch Empire Strikes Back again? You bet! i think i knew those, i just forgot... how about ben affleck in buffy the vampire slayer, movie... wait sorry that is "humor" horror. Flea plays bass for rhcp, not guitar. Seriously, it's pretty easy to just Google that.